Born: May 1829, Inverness, Scotland, United Kingdom. Died: 20 December 1875, Cape Town, South Africa. Roderick Noble, elder brother of John Noble*, was educated at the Royal Academy, Inverness, and the University of Edinburgh, where he ended his studies for the ministry as a result of ill health and started teaching. In 1850 he came to the Cape Colony in search of a healthier climate and obtained a post as teacher of mathematics at the seminary of Dr A.N.E. Changuion in Strand Street. While teaching there he learned Dutch. In August 1854 he delivered a lecture to the Cape Town Mechanics' Institute (a voluntary organisation founded in 1853 to promote adult education) on "Geology: its relation to sacred scriptures". The lecture was published as a pamphlet (Cape Town, 1854). Noble served on the committee of the Institute from about this time until 1861. In 1855 he was appointed lecturer in chemistry at the South African College, following the resignation on Professor G. Eveleigh*. In October that same year he was promoted to professor of physical science, and in 1859 was appointed in addition as professor of English. An inspiring teacher with a considerable intellect and wide interests and general knowledge, he successfully taught and promoted these dissimilar subjects until his death in 1875. Meanwhile he contributed articles to the Cape Town newspapers Het Volksblad, De Volksvriend and the Cape Monitor, for some time edited the South African Mercantile Advertiser and Mail, and for many years wrote editorials for The Cape Argus. 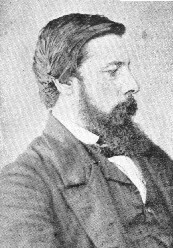 From 1857 to 1861 he was joint editor (with A.W. Cole) of the newly established Cape Monthly Magazine, and from 1870 until his death was its sole editor. One of his editorial contributions to the Magazine, in addition to numerous literary productions, was a note on shell caves and raised beaches (1871, Vol. 3, p. 125). In support of his journalistic activities Noble attended every public function and meeting, interviewed new arrivals to the colony, and attended the debates of parliament and church synods. He had an outstanding ability to write good articles on political, social or scientific subjects at short notice and his scientific writing in particular was valuable in making science intelligible to the public. He also held numerous public lectures on topics such as exploration of the interior, the Challenger expedition, and the visit of the cable-ship The Great Eastern. He was a man of exceptional character and ability, and from about 1860 to his death was unrivalled in his contributions to the intellectual development of the European community at the Cape. In 1874 the convocation of the University of the Cape of Good Hope elected him as a member of the university's council. That same year he was appointed as a member of the Cape of Good Hope Meteorological Commission. He also served on the committee of the South African Public Library and addressed the library's annual meeting on several occasions. Early in 1875 he fell ill and died in December that year. He was survived by his wife, who suffered from mental illness, and one daughter. Cape of Good Hope almanac and annual register (title varies), 1855, 1858-1862, 1874. University of the Cape of Good Hope. Calendar, 1875, 1876, 1917/8. Volksstem (Pretoria), 8 January 1876, p. 2, Dood van Professor Noble.